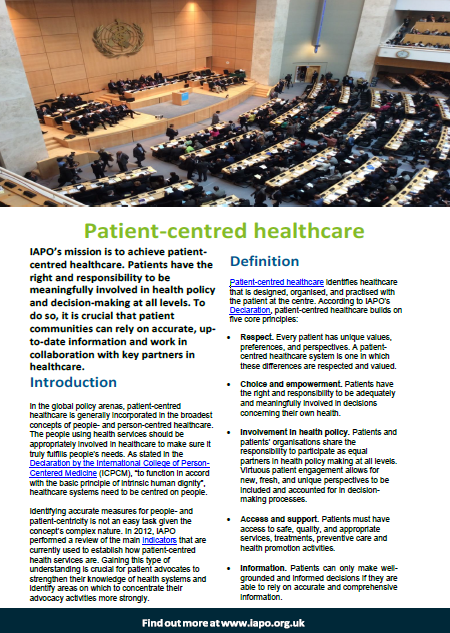 IAPO’s mission is to achieve patient-centred healthcare. Patient-centred healthcare identifies healthcare that is designed, organised, and practised with the patient at the centre. 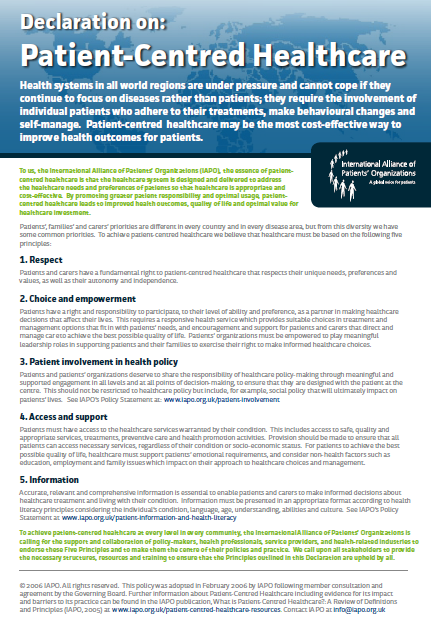 Patients have the right and responsibility to be meaningfully involved in health policy and decision-making at all levels. To do so, it is crucial that patient communities can rely on accurate, up-to-date information and work in collaboration with key partners in healthcare.